The creator of characters that have become icons – Scrooge, David Copperfied, Miss Havisham, Oliver Twist – would be almost 200 years old today (born 1812). His stories and plot lines are still alive – some even making it into Broadway adaptations and Hollywood movies. Dickens died of a stroke in 1870 before finishing his last book, The Mystery of Edwin Drood. Scholars have speculated for years about how Dickens would have ended the story. 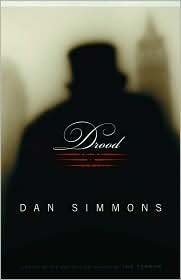 In his 2009 thriller, Drood, Dan Simmons recreates Dickens’ life, using his touring as a dramatic reader to promote his books and his close friendship with Wilkie Collins (author of The Woman in White) to weave a possible solution to the Edwin Drood mystery. Drood is a complicated story, with all the plot turns and suspense of a good psychological thriller. Don’t let the length (over 400 pages) put you off – the story runs fast and intense. 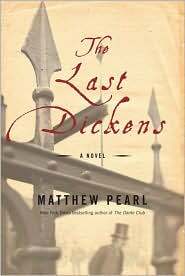 Matthew Pearl also uses the search for the ending of Dickens’ last novel in his plot turner, The Last Dickens. Here the story uses Dickens’ untimely death as the foil for creating a mystery/thriller around the publisher’s murder and the lost manuscript. If you liked The Dante Club (same author), you will like this one. 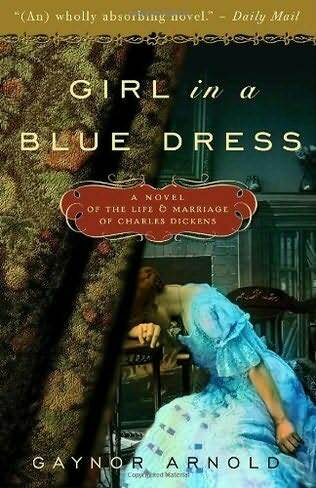 If you want to slow down and peek into historical fiction about Dickens’ life as a philandering husband with eight children, try Gaynor Arnold’s Girl in a Blue Dress – showing the great author from his wife’s point of view.